Phixsoft - iPhix for Mac, create art with every snap. iPhix - Create art with every snap. 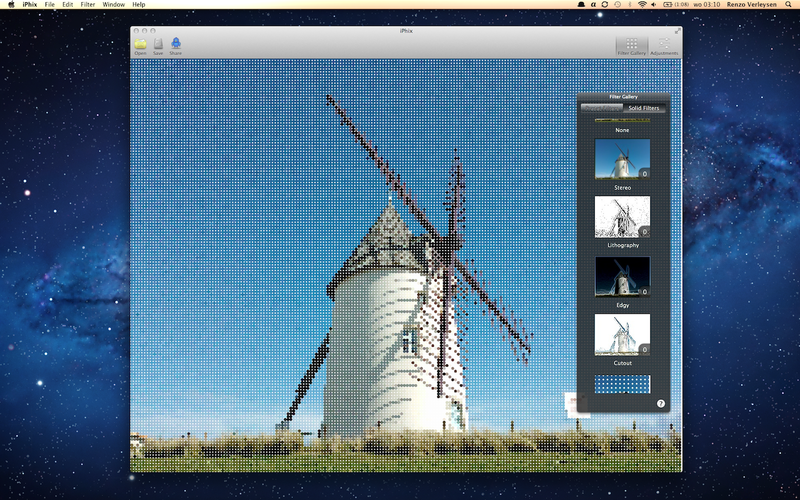 With iPhix you have a set of highly powerful filters at hand to customize your images in the way you want. In the filter gallery you can find two categories of filters to apply to your picture. You have a range of preset filters at your disposal which you can finetune later on and on the other side you have many highly powerful solid filters which vastly alter the appearance of your picture. During the designing process of iPhix a lot of effort has gone to making iPhix useable for everyone. And the result is there, iPhix can please photography professionals as well as not too tech savvy people who just want to get the job done. With its pleasant interface iPhix should be fun to use. With iPhix you have endless possibilities to enhance your pictures. Aside from contrast and many others you can also add vignetting or apply dreamy blurs. All these adjustments can be used to complement each other and create even more magnificent effects. Additionally they are nice to toy around with, just give it a try! 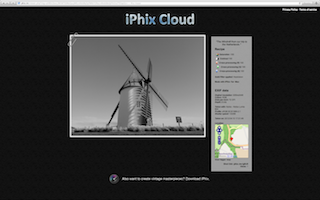 With the new iPhix update you can upload your pictures along with their EXIF data to our reliable Phix Cloud© service. After uploading you get a shortlink to share with your friends. But that's not all, you can also choose to display a recipe of all changes you made along with your images to show to your friends how to style their pictures in the same way. When opening a picture for adjusting you expect everything to stay the same, except for the things you change. Therefore iPhix remembers your EXIF data and saves it along with your adjusted image. Your lens, aperture, flash settings, camera type, … all will be saved. iPhix also cuts the process of selecting a save filetype for you, all files are saved in the same filetype as the one they were opened in. Additionally it restores corrupted image orientations to ensure that your picture is always the right way up. iPhix is GPU-accelerated. 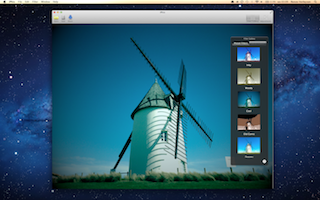 This means that it can apply your filters to any image almost instantaneously. It allows you to display your images full screen and reduce the amount of lag. The app is built to run fluently while processing multi million pixel pictures.